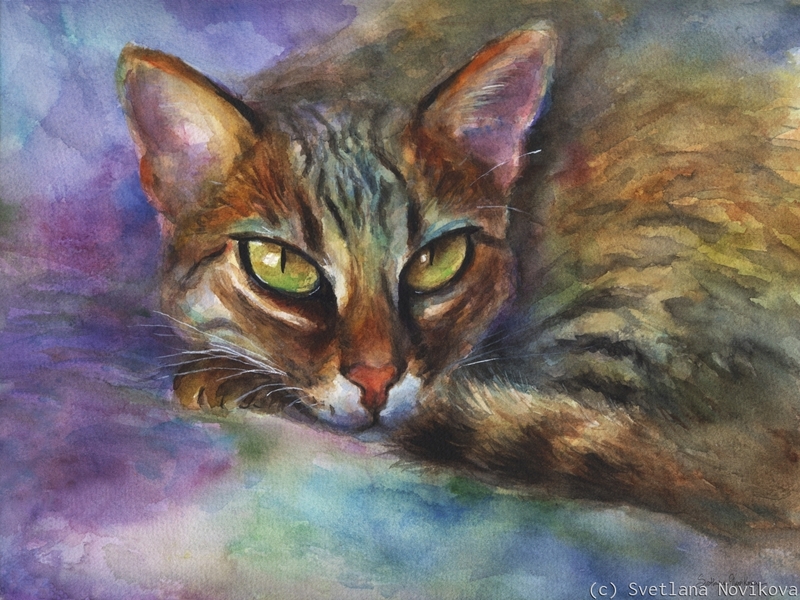 Colorful Bengal cat portrait done with watercolors on paper. Colors may looks slightly different on your computer screen. Prints are available on archival canvas, paper, poster, framed and unframed. Original is currently available (insured shipping in US is $15). 5" x 6.625"8" x 10.625"11" x 14.625"14" x 18.625"17" x 22.625"22.5" x 29.875"